Tomorrow my mom has a big race. There are a lot of people doing the race. 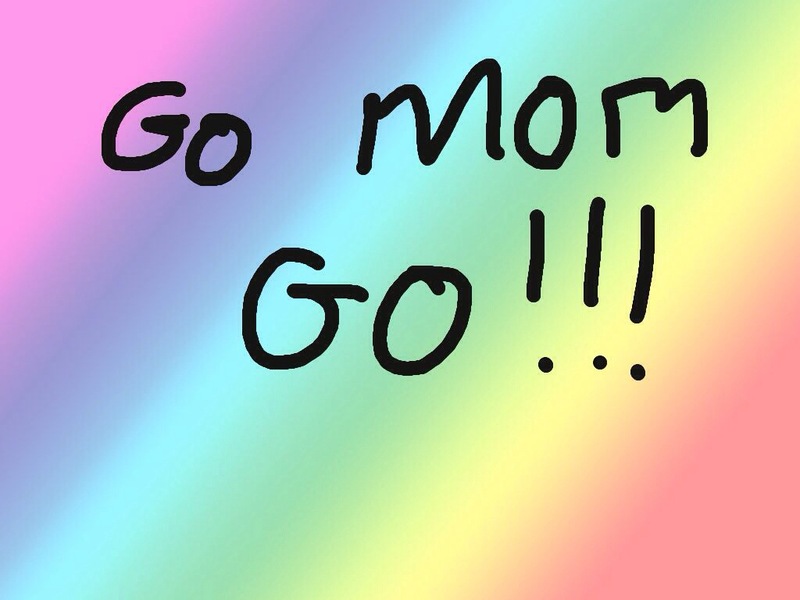 I am going to make a big sign that says GO MOM GO!!! I will be clapping a lot. I LOVE YOU TO MOM,,! Your Mom finished so she really did “win”.